Solve a variety of common and financial math problems with this easy-to-use 10-digit display calculator. Built-in mark up, percentage, and grand total functions make it easy to solve a variety of financial problems, while the backspace key lets you correct input mistakes without starting over. 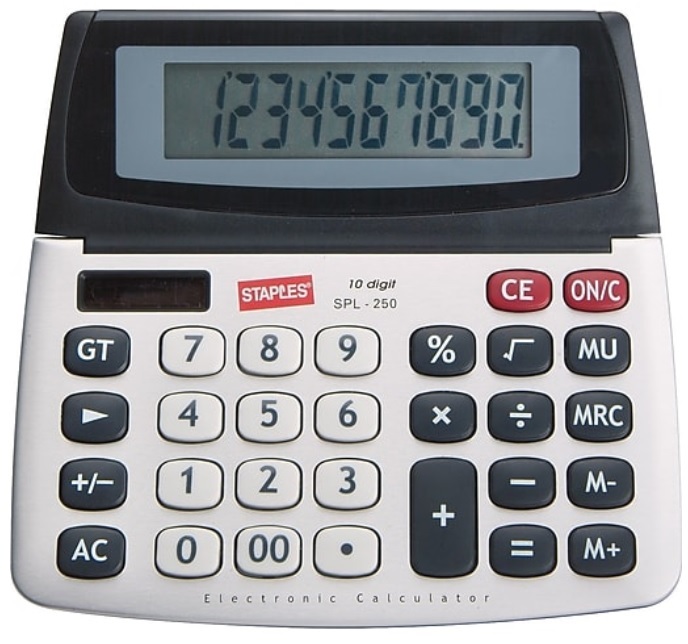 This Staples 10-digit display calculator stays charged and ready for use with a built-in solar panel and battery backup.